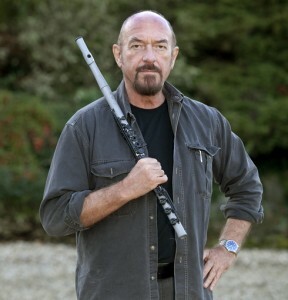 When you think of Jethro Tull, the first thing you probably think of is the guy with the flute. 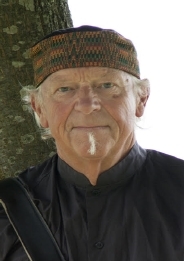 But pretty soon you also think of all those cool electric guitar parts and sounds, and when you think of that you’re thinking of Martin Barre. 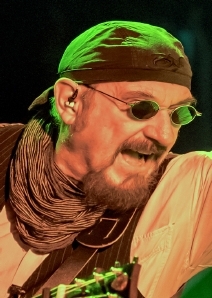 Barre joined Jethro Tull in time for their 1969 album Stand Up, which steered the band away from its blues origins to an new sound which incorporated elements of English folk music. Other classic albums followed: the harder rockin’ Benefit, the multiplatinum Aqualung, the prog rock concept album masterpieces Thick as a Brick and A Passion Play, and many more. Barre’s tenure with Jethro Tull lasted until 2012, and since then he has focused on a solo career. His most recent album is 2015’s fantastic Back to Steel. 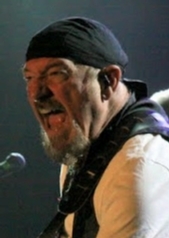 Review of Ian Anderson at the Chumash Casino, 10/18/12. Next up was Jethro Tull’s classic album Aqualung, released in 1971 and regarded by many to be the band’s best. 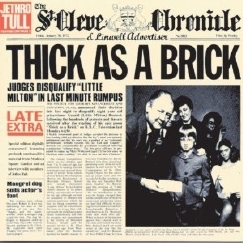 This included such Jethro Tull mainstays as the title track, “Locomotive Breath”, and “Crosseyed Mary”. Jethro Tull followed with two concept albums, both of which reached No. 1 in the U.S. concert charts: 1972’s Thick as a Brick, and 1973’s A Passion Play, the latter including the not-universally-loved Winnie-the-Pooh-on-acid piece “The Story of the Hare Who Lost His Spectacles”. 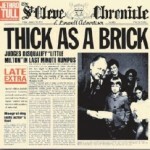 Anderson recently decided to explore different possible life trajectories for the ficticious lad Gerald Bostock who had supposedly written the lyrics to the original Thick as a Brick album, resulting in the album Thick as a Brick 2. This interview was for a preview article for Anderson’s performance of both Thick as a Brick albums at the Chumash Casino on 10/18/12. It was done by phone on 10/9/12.